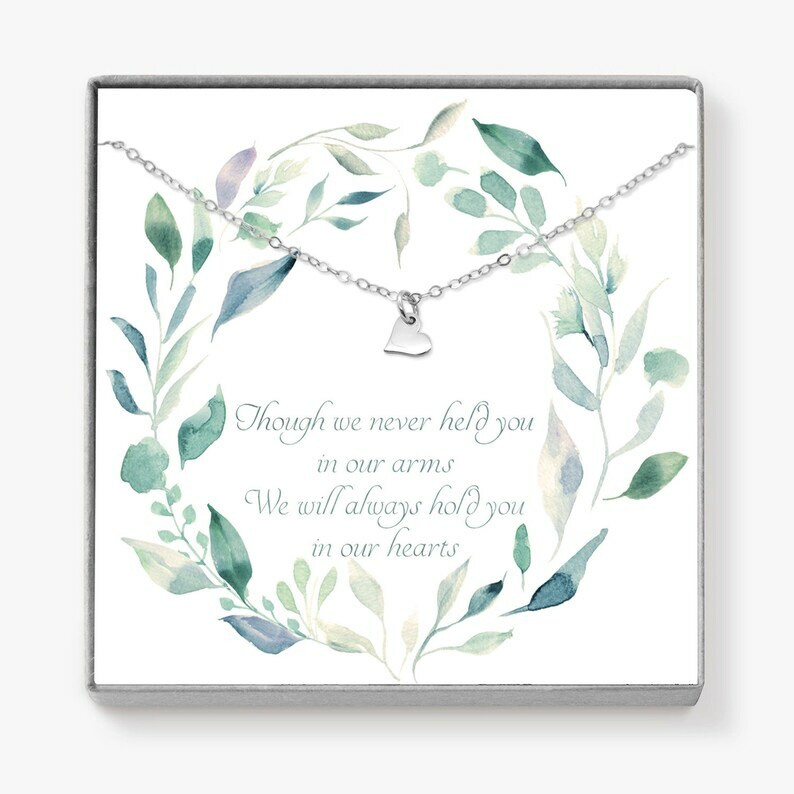 Tiny Heart Necklace Miscarriage Gift - Give this gift to someone who is grieving the loss of a child, to show them you are there for them and to remind them that their child will always be a part of them and their lives. 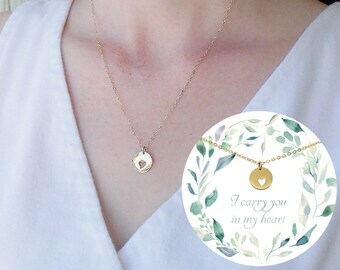 Ordered this necklace for a friend and she loved it! 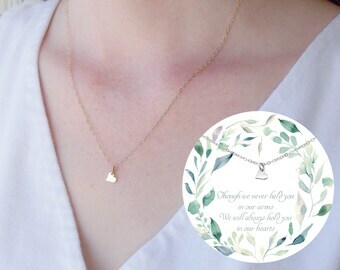 I purchased this necklace along with the birthstone of our Angel Baby after my husband and I lost our baby via miscarriage recently. Susan was amazing at communication and getting this personalized for us. We received it within a week and it was just beautiful and the right size I wanted. This is a great way for us to honor our Angel. Thank you Susan for making wonderful, thoughtful pieces like this.